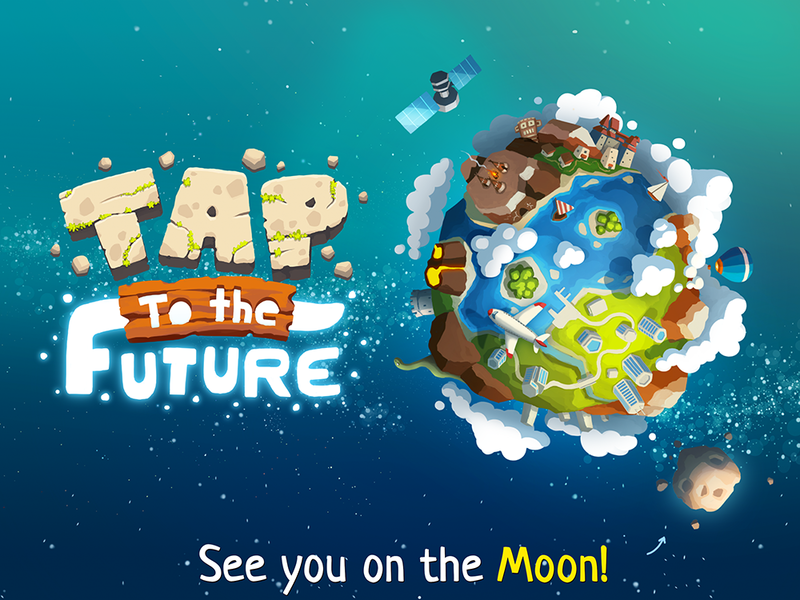 Tap To The Future! : On5. We make mobile games. Idle games became popular relatively recently, but got a huge fan base around them. What’s not to like: you don’t have to do almost anything, just take decisions on how exactly to improve the coin generation and what upgrade sequence leads to greater wealth faster. 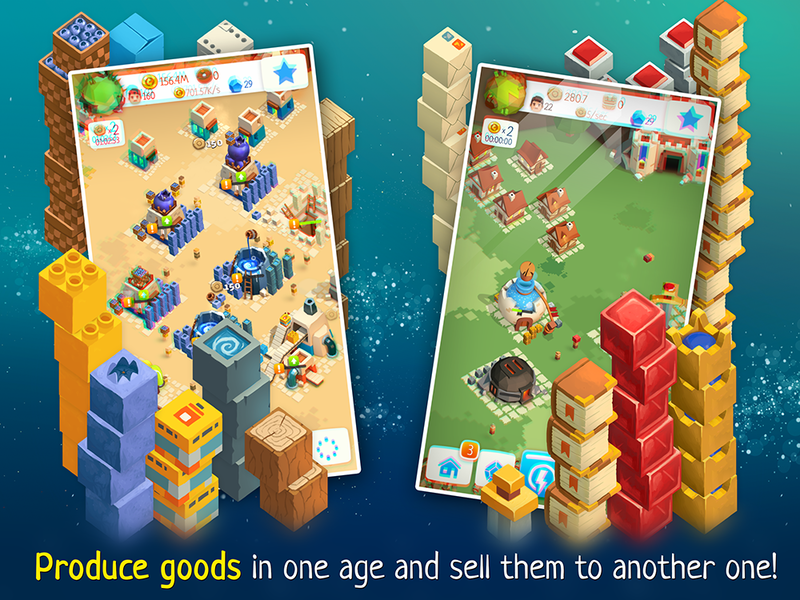 There are many idle games on the market. Most of them are very easy to understand, but lack a meaningful story, and the game progress becomes very monotonous fast. That’s how Tap To The Future came to be. We wanted to make an idle game, which can be not just endlessly long (they all are), but also endlessly interesting. The game is currently in soft-launch. That means it’s available of a limited amount of players from Canada, The Netherlands, Australia, and New Zealand. These people are helping us refine the game and get it ready for the global launch in the best shape possible. If you live in one of those countries, you can get the game on the AppStore. In TTTF you start as a deity in the stone age and begins production with help of a little worshipping village. Villagers collect wood and berries, wood is used to make paper, berries are used to make dyes, dyes and paper make dyed paper, and so on. When the production chain is completed and the final product is being made, the you can switch to a medieval world, where the product from the stone age is used as a most basic component for a more advanced product. The larger is the amount of goods produced in the first age, the more raw resources the next one gets. It works as a bottleneck: when the next age gets too few packed blocks, you have to return to the stone age and reinforce the production there. Picking upgrades isn’t actually a no-brainer either, there are lots of them, and different classes: for specific buildings, for specific age, for all ages, and even for the peeps carrying the goods. We want fans of idle and incremental games to find their haven in TTTF. Instead of jumping between different genres, we are making a game with fused genres offering truly deep and diverse experience, while still keeping it an idle game in essence. So far we are getting very positive feedback from the players, the game is fun to play and engages people really well. There are however some nagging points, which we are working hard to improve. We are actively working on the game, adding content as well. Currently, TTTF features 2 ages. We plan to have 5 worlds in total: some will be ready by the global release date, and some will come in updates. The 3rd age is in works and coming really soon. 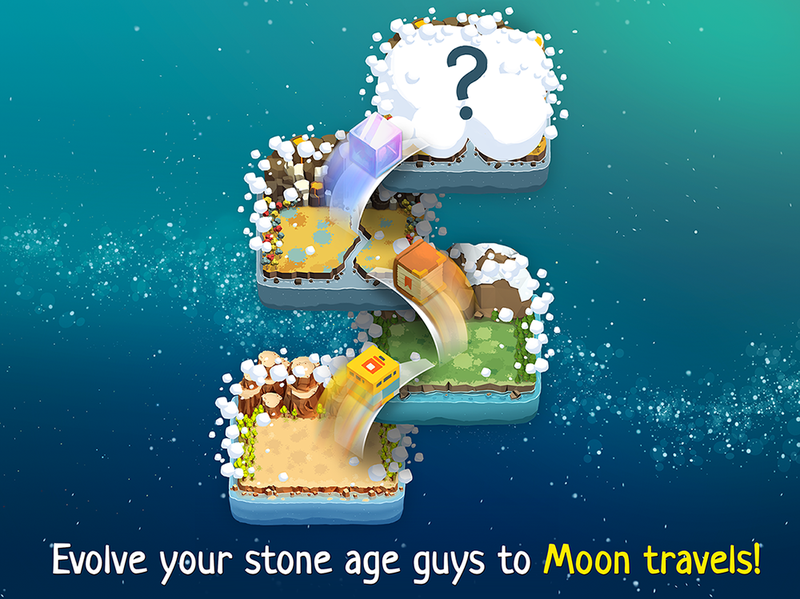 The general trend in mobile gaming nowadays is simplification and dumbing down the concepts. We object to that, we favor innovation. All in all this game is going to be the longest, most interesting, and maybe even hardest idle game on the market. The game is available for iOS, currently in limited territories. However, we can add people from all over the world too, via TestFlight beta program. If you’d like to get early access and help us improve the game, let us know at TTTF@on-5.com, we’ll be adding new users to the beta program time to time. I spant €42 but I did not get the gems. Don’t know what to do now that I’m in the medieval age, the packed boxes are not transferring to the next age. My goods aren’t transferred to the second age, I’m just clearing rubble. How do you transfer products to medieval age?